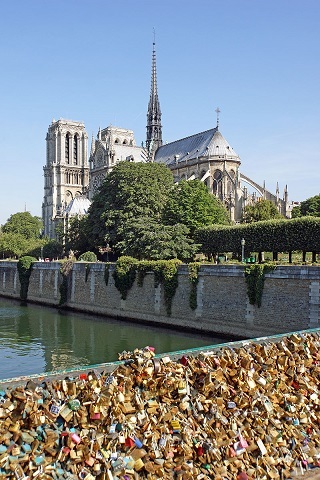 Parisian authorities at the bidding of a local preservation group are making the sixty five tonnes of love-locks removed from various bridges throughout the city available to members of the public who would like to own a piece (or a whole lot of pieces) of modern architectural history. 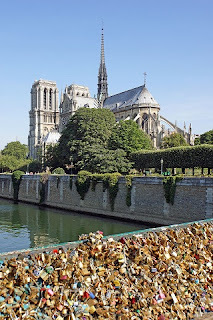 Twenty tonnes alone were salvaged from the scenic Pont de l’Archevêché. Proceeds will go to support those who help refugee families integrate and settle and despite the heart-ache that might have come about in knowing that symbolic bond was broken, it is a fitting end to a testament to love that wasn’t permitted to weather the ages. Perhaps other similarly besotted spots might follow suit.